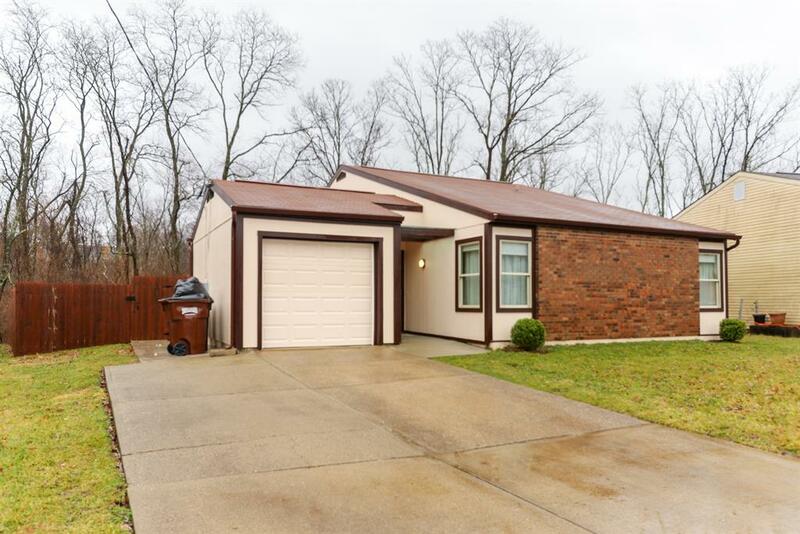 This has it all, 3bd, 2 full updated bths, Kit has upgraded wood, soft close cabinets, backsplash, quartz counters, under cab lighting, Laminate wood flrs throughout, huge fam Rm, living rm w/beamed, vaulted ceilings, fin garage w/WO to large, privacy fenced yd, newer patios. Newer leaf guard gutters w/lifetime war, Newer insulated gar door w/opener, Newer HVAC w/air cleaner, programmable thermostat. Ceiling fans throughout, all appl stay including W/D & extra frig in garage. Master has walk-in closet, newer HWH, cased dbl hung windows. Replacement Fiber Cement siding. Don't miss this one.